Since the advent of the smartphone, brands have been trying to work out which channel best suits their requirement. Is it TV that is fantastic for exposure? Digital, to target key individuals? Or mobile,which has become the most personal channel as consumers hold their devices dear from the moment they wake up until they go to sleep? The quick answer is a bit of everything, as long as it is planned and bought carefully through a number of easy steps. Before looking at implementation, brands need to clarify who their target audience is. The days of buying gross rating points and hoping audiences are in front of their TV screens are long gone, with more granular targeting available. Social-media channels such as Snapchat, Twitter, Facebook, Pinterest, LinkedIn and Instagram create an abundance of data sources, forging new ways to reach consumers. Yet the number of irrelevant messages consumers receive has resulted in increased disillusion. To avoid the pitfall of mistargeting, make sure you have very clear target audiences. This helps with media planning, storytelling and choosing the best platforms for each creative. At first glance, identifying target audiences appears relatively straightforward. For example, it makes complete sense for Burberry to target Emma Watson’s fans** because the actress is the fashion line’s brand ambassador. 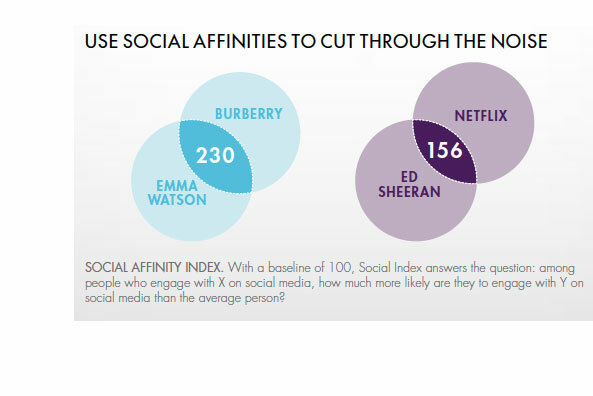 But few brands know that Ed Sheeran fans have also been found to engage highly with Netflix*. By using affinity data, advertisers can pinpoint fringe audiences who fall outside the realm of their most obvious targets and increase their reach. With consumers nowadays being constantly bombarded with content, brands need to capture attention at the right moment. Using real-time triggers, ranging from weather to a goal during a football match, brands can build stronger relationships when consumers are emotional. By seizing the moment, brands can maximise the value of delivering the right message to the right screen at the right time – and at the best of times. 4. Combine TV and social media For a long time, TV and online have worked as separate channels. But with an increasing number of consumers shifting their attention to a second screen to talk about programmes they are watching or to find content during ad breaks, campaigns combining TV and social consistently result in improved click-through rates. In fact, 87% of consumers use a second screen during programming3 and TV ads are responsible for one in five socialmedia interactions4. A multiscreen campaign can effectively combine the reach of TV with the personalisation and real-time potential of social-media channels to connect with consumers. The availability of data at the tap of a finger means that you no longer have to wait until the end of the campaign to see the results. The multiscreen era has led to an evolution in targeting and measurement tools, which can now provide quick analytics on key aspects of the campaign. Is it hitting targets? Are the various audiences responding well to the message? How much of the budget has been used? This enables brand strategists to better monitor their adspend, improve the quality of campaigns and ensure there is no wastage. As multiscreen analytics break down the measurement silos, brands can compare their spend across a number of social-media channels and TV, which ensures they remain in control of their budget, brand image and results. 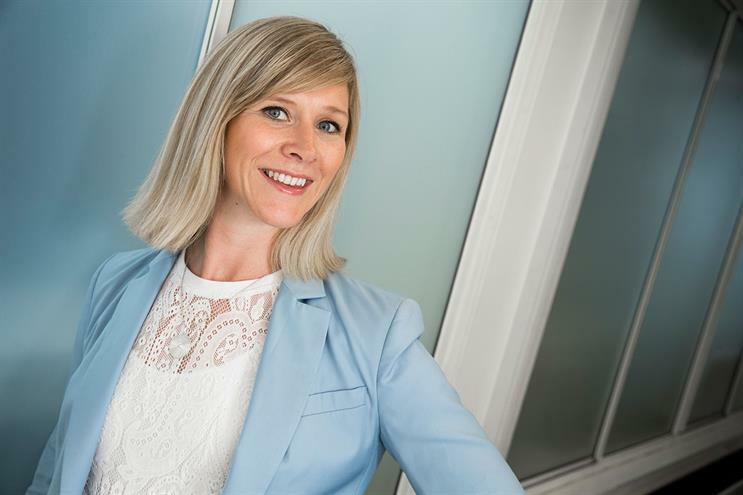 Dmexco decoded: emojis - are they a new marketing language?